Located in Belparāo, 27.4 km from Nainital, Corbett Holiday Forest Resort features a year-round outdoor pool and playground. Guests can enjoy the on-site restaurant. Free private parking is available on site. Each room at this resort is air conditioned and is fitted with a flat-screen TV with cable channels. Some units feature a sitting area to relax in after a busy day. All rooms come with a private bathroom. There is room service at the property. You can play pool at this resort, and car rental is available. 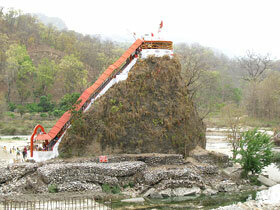 The nearest airport is Pantnagar Airport, 40.2 km from Corbett Holiday Forest Resort. Corbett Holiday Forest Resort has been welcoming Booking.com guests since Aug 24, 2015. Corbett Holiday Forest Resort is an ideal destination for families, corporate travelers, youngsters, kids etc. who want to have a comfortable stay and have a taste for good services and quality. The resort is central locked in the foothills of the Himalayas. Our resort is rate as one of the best resort in the area for comfortable stay, good food, superb connectivity, delight service at an affordable price. Corbett Holiday Forest Resort offers an unforgettable rapturous delight in the wilderness of Corbett National Park. It is one of the finest resorts in Corbett which offers impeccable services to its guests. Its a treasure for adventure lovers as it enthralls the body and soul with the roars and trumpts from the wild. The sounds from the deep dark woods, the rustle of the leaves and the jungle safaris makes it a thrilling experience. 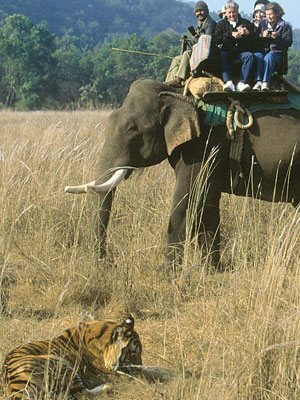 The resort is located near the Jim Corbett National Park which is a home to wide variety of animals such as tiger, leopard, elephant, deer, wild boar, jackal and porcupine. The resort is located in a tiny hamlet called Himmatpur on the outskirts of Corbett. It is at 13 km from Ramnagar on Nainital Road. It is one of the finest resorts located in the scenic beauty of the natural surroundings. Set in the pristine environs the cascading waterfalls, rivers and natural pools are at vicinty of the resort. The resort promises a nostaligic stay which will remain engraved in the hearts forever. The resort offers a swimming pool, indoor/outdoor games, jeep safari and elephant rides. Ramnagar Railway Station is 17.6 km away.Around 17.6 km from Ramnagar Railway Station, the resort is an ideal accommodation option for nature lovers.The resort offers various recreational options like swimming pool, indoor/outdoor games, cricket ground, jeep safari and elephant rides to keep guests thoroughly entertained during the stay. 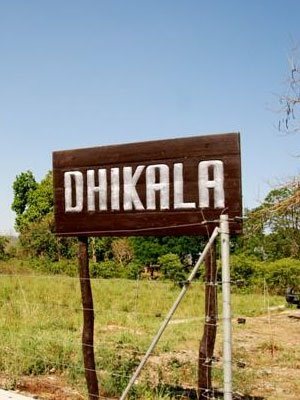 Other facilities include internet access, car rental, business centre, doctor on call, parking, fax/photocopying service, bonfire and sightseeing tours.Offering views of the garden/pool/forests, the resort has 29 well-appointed cottages with modern amenities like satellite TV, refrigerator, personal lockers and 24-hour hot/cold supply.Guests can relish a variety of Indian and international delicacies at the resorts multi-cuisine restaurant.You can enjoy village visits and jungle walks around the resort during your stay. Guests may also head to Corbett Falls (14.5 km) for picnics and camping. The resort offers accommodation in (29) perfectly fashioned air conditioned cottages. The luxurious cottages are elegantly designed keeping in mind the modern requirements of the guests. The cottages are encased with glass walls which offers a spectacular view of the woods and the tall green grass surrounding the resort. To provide a comfortable stay to their guests the resort is equipped with modern amenities such as LCD with entertainment channels, 24 hours hot/cold running water, intercom facility, laundry service and starry bonfire nights with music. Welcome to the adventurous world of Corbett Holiday Forest Resort with 29 well apointed cottages it is located in a scenic spot close to nature. Guest rooms at the resort come with a seating area. Each room is equipped with a private bathroom with free toiletries. The units will provide guests with bed linen and towels. An Asian breakfast is available each morning at Corbett Holiday Forest Resort. 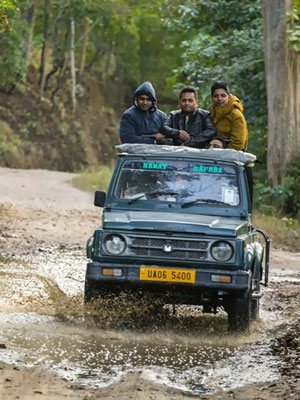 Welcome to the adventurous world of Corbett Holiday Forest Resort with 21 well apointed cottages it is located in a scenic spot close to nature. Corbett Holiday Forest Resort offers 3-star accommodation with an outdoor swimming pool, a garden and a restaurant. Featuring room service, this property also provides guests with a children's playground. All rooms include a flat-screen TV with with cable channels. The resort offers accommodation in (29) perfectly fashioned air conditioned cottages. The luxurious cottages are elegantly designed keeping in mind the modern requirements of the guests. The cottages are encased with glass walls which offers a spectacular view of the woods and the tall green grass surrounding the resort. Ramnagar is well connected by motorable roads with major destinations of Uttarakhand and Uttar Pradesh. 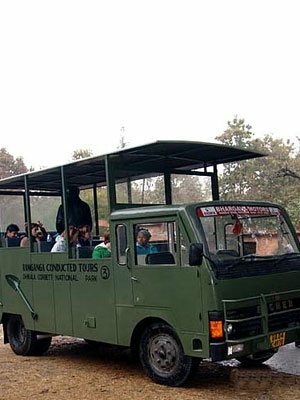 Taxis are easily available from major cities of Kumaon region and Garhwal region to Ramnagar. Private luxury buses also run between Delhi to Ramnagar. Buses to Ramnagar are easily available from ISBT Anand Vihar. Ramnagar is directly connected with railway networks of India with major cities of India. Ramnagar is one of the end points of the train coming to Nainital District. Trains run frequently to Ramnagar with major destinations of India. Pantnagar Airport is the nearest airport which is located about 72 km from Ramnagar. Taxis are easily available from the airport to Ramnagar. Pantnagar Airport is well connected by metalled road leading to Ramnagar.